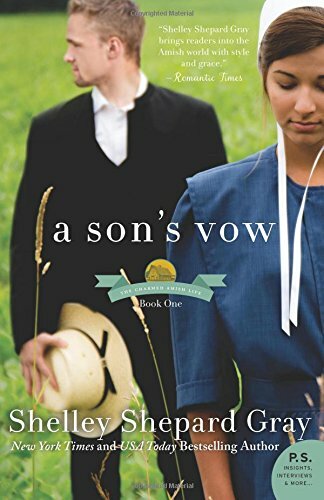 A Son’s Vow by Shelley Shepard Gray is a contemporary Amish novel and the first book in the Charmed Amish Life series. It is a study of a community dealing with loss and grief, hurt and anger. It shows how people react differently when it comes to grieving. Shelley Shepard Gray deals sensitively with the subject matter. She shows how individuals and a community can rebuild their lives and move forwards. The reader is introduced to the Amish way of life. God is very much at the heart. Even if it feels like God has abandoned the people, He is still there. The hurt, anger and blame game continues in Aaron, Darla’s brother, who blames Lukas and Levi’s father, the mill owner who also perished. Aaron is a changed man, so consumed by his anger that even his family is afraid of him. He needs help but cannot see it. He holds on to the fire and the deaths of the men and also feels guilty. He fears moving on because then he fears that the deaths did not matter. As the reader I could empathise as following our loved ones deaths, it often feels like a betrayal when one begins to laugh again. 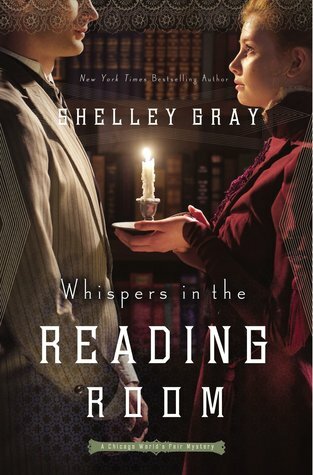 Whispers In The Reading Room by Shelley Gray is a fabulous end to the Chicago World’s Fair Mystery series. It is a compulsive read that had me hooked from the start. 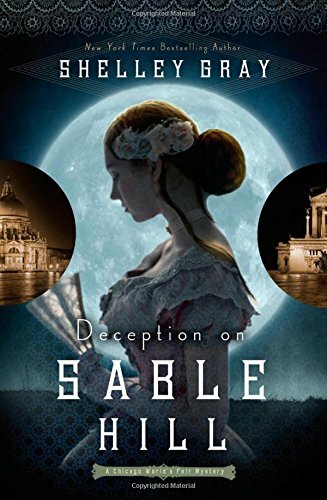 It can be read as a stand-alone as there were just references to previous crimes, and the reader once again meets the two detectives from book two. Lydia earns her living as a librarian and loves her job. Every day a mysterious man spends a couple of hours in the library reading. At first, neither speak to each other but both are watching the other. 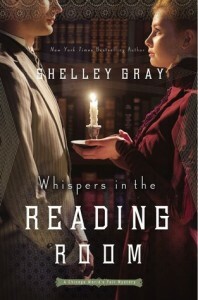 Whispers In The Reading Room deals with the theme of escapism. Lydia escapes from the reality of her life with her widowed mother by hiding behind her books. Likewise, Sebastian (the mysterious gentleman) hides behind his books. He wants to escape from his past. Both will be stuck in a void if they cannot face reality. Lydia’s mother, too, refuses to face reality. She hides from the world, as she no longer has a fortune. Her only hope is that Lydia will marry well, and rescue them both from a life of poverty. Money motivates. Lydia’s mother is not so much concerned with a man’s character, but more with the size of his wallet. A fortune is to be pursued even at the risk of her daughters welfare and happiness. Deception On Sable Hill by Shelley Gray is the second book in the Chicago World’s Fair Mystery series. It was completely gripping from start to finish. Although part of a series, it can be read as a stand-alone. However for full enjoyment, read book one first. 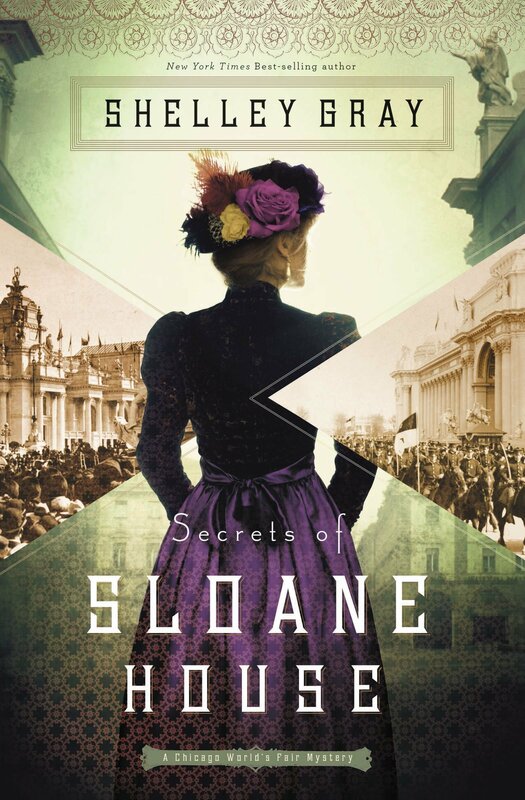 Eloisa was first introduced in the previous novel, The Secrets of Sloane House, but she is the focus of this novel. Eloisa belongs to one of the richest families in Chicago. She is a popular debutante, but over the past few months has become more reclusive. A previous event is haunting her waking and sleeping moments. Shelley Gray depicts Eloisa as hiding from her past. She has no one to confide in. She needs a friend, and she needs God, in order to move forwards. Sean Ryan is from a poor Irish family, and he has worked his way up through the ranks of the police. He and fellow officer Owen Howard are searching for the Society Slasher, a villain who slashes society ladies faces. Shelley Gray keeps the reader guessing as the number of victims begins to pile up. The Chicago streets become increasingly dangerous. Eloisa and Sean’s paths cross, and inspite of their class differences, they feel a connection. 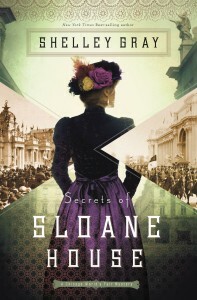 Secrets of Sloane House by Shelley Gray is a historical Christian thriller set in 1893 against the backdrop of the World Fair in Chicago. It is very much an ‘upstairs downstairs’ novel as the servants interact with the masters and mistresses of the house. Rosalind chooses to come to work at Sloane House, after her sister Miranda disappeared whilst working there as a maid. Rosalind comes up against brick walls when enquiring about Miranda. As time progresses, she realises that danger lurks all around. Reid Armstrong, a young man, and his family have risen up through the ranks, but never forgotten their roots. He is kind to people from all walks of life. His behaviour contrasts with that of the Sloanes who are most concerned with money, rank and appearances. The class divide and struggle is portrayed within the novel, and is a social comment on the times.